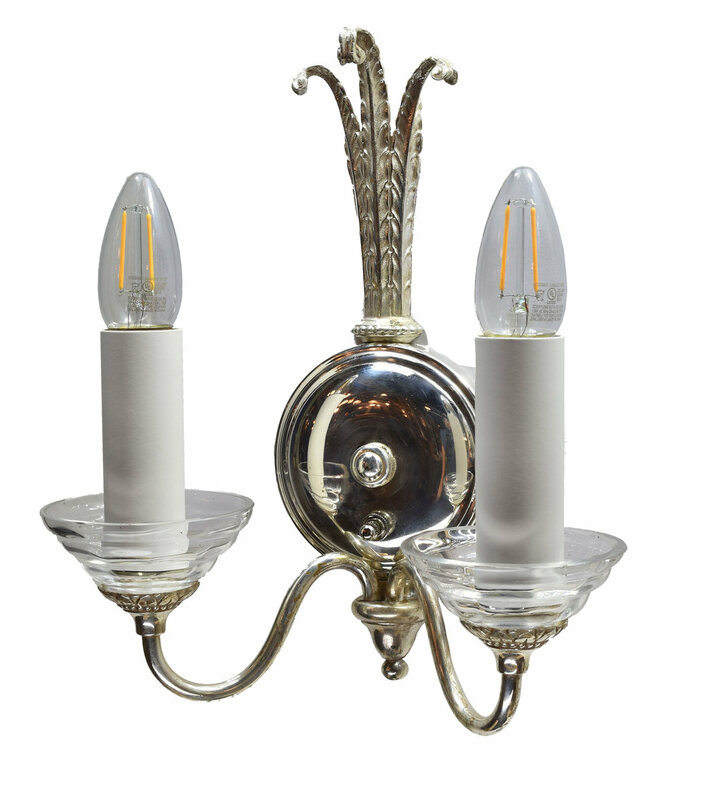 These are happy sconces! They are so stately and decorative. 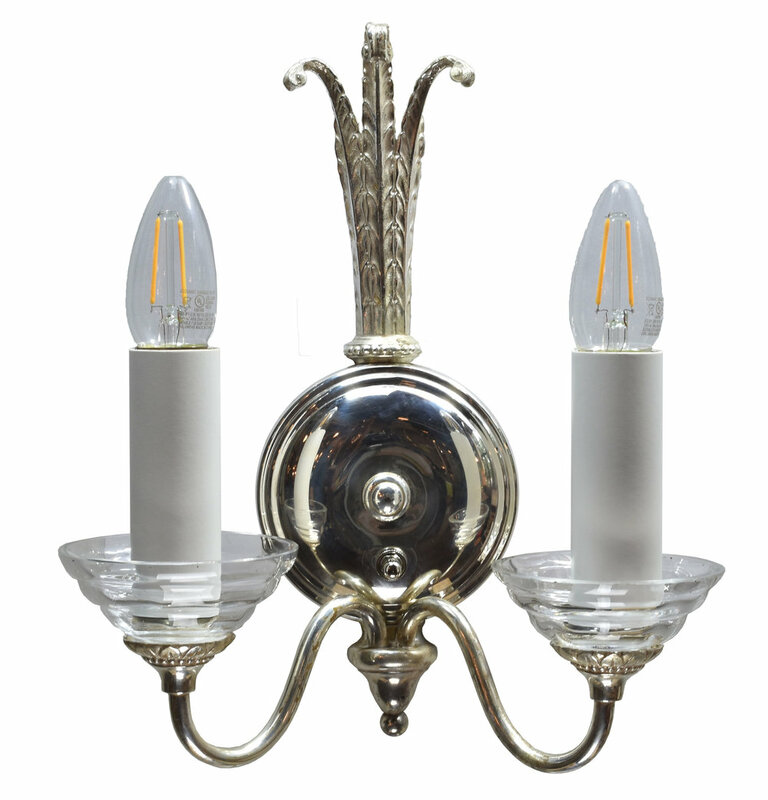 Elegant silver arms and circular wall mount with a tassel cap. They sit very well with the base of the wall mount matching the dip in the arms, the socket ends at the top of the circular wall mount. 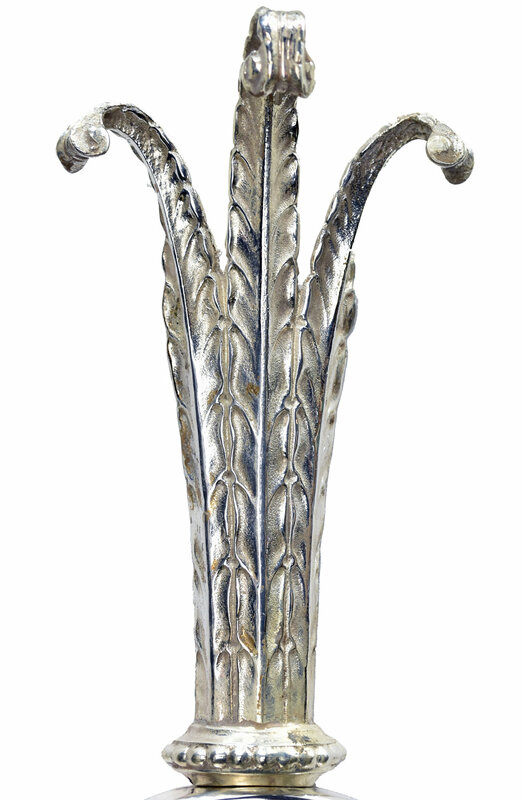 The top tassel, or possibly palm fronds, curl slightly forward giving this sconce a sense of play. Candles held by tiered glass. Where the socket holder sits there are lovely decorative leaves. Overall with their silver finish and little details they just make us want to smile. Check out our instagram to see how we transformed them! 24.99 shipping within the continental United States. International shipping also available. Please contact us for a quote. Be sure to include the Product ID (AA#48034) when making your offer.